Storm Tracker 16 brings you the 7 day weather forecast and Doppler radar. Click here to find directions to Pine Hills Country Club. Welcome to the official site of Pine Hills Country Club; the country club open to everyone! Since 1998, Pine Hills has been rapidly evolving into one of the premier public golf courses in Northeast Pennsylvania. Built in the late 60’s, the course has always offered a great layout with mature trees, scenic views of the valley and challenging holes. Over the past few years, Pine Hills has been incorporating redesign changes by R. Stuart Cutlip of Cutlip Golf Design (offices in NYC and North Carolina). Mr. Cutlip has been featured on CNN, the USGA Journal and Sports Illustrated. The course has reinvested over 1 million dollars in irrigation, bunkers, greens, equipment, carts, and facilities. The payoff has been substantial. Feedback to the changes we have made and plan on making in the future have been extremely positive. 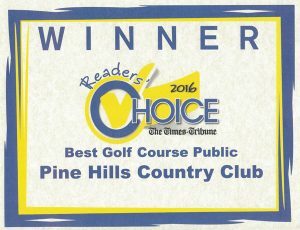 Pine Hills has been named BEST PUBLIC GOLF COURSE in the area by Reader’s Choice for the past two years. 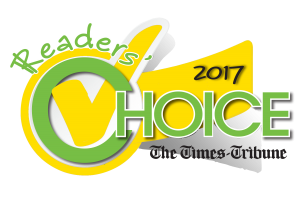 And, Pine Hills has been named a finalist for the Sage Awards “Small Business of the Year” award presented by the Scranton Chamber of Commerce. If you haven’t been to Pine Hills in a while, you won’t believe what we’ve done! Just a few minutes away, Pine Hills is the closest public golf course to downtown Scranton, Montage Mountain, and the shops in Dickson City. We are also conveniently located less than ½ mile from the Pennsylvania Turnpike and a few miles off Interstate 81. If you’re staying in the area, be sure to “swing” by! Tee times are recommended Friday through Sunday. Pine Hills is open year round, weather permitting.